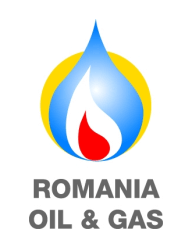 Romania Energy Center (ROEC) was an official partner of the Romania Oil & Gas conference. 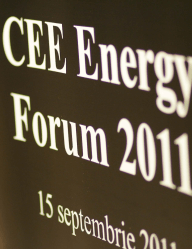 The event organized by ITE Group Plc took place on 4 – 5 December 2012, in Bucharest and addressed current developments, future projects and- opportunities for international oil and gas companies within the Romanian domestic energy market. Situated along the Black Sea continental shelf, Romania is one of the biggest oil producers in Central and Eastern Europe and the Romanian natural gas sector is one of the most developed in Europe. 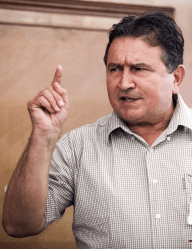 Its conventional and unconventional oil and gas potential makes it the only state in the region that can meet its own oil and gas demand, as well as export these resources. Romania Energy Center partnered with GRASP for the first stage of the Young Diplo project – the conferences, which debuted with the first one at the Romanian Embassy in London, on February 4, 2012. 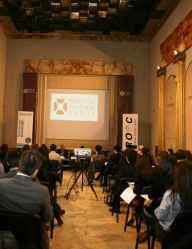 The second took place in Bucharest, at the Romanian Cultural Institute, on March 30, 2012. Both events featured high caliber speakers such as HE Dr. Ion Jinga, HE Dr. Emil Brix, HE Pieter Andries Swanepoel, Mr. Nicolae Ratiu, Dr. Niculae Napoleon Antonescu, Andrew Costin, Dr. Ionut Purica, Dr. Ion Bucur, Holly Pattenden, Dr. Sandra Pralong, and other wonderful speakers that made these two events a success. 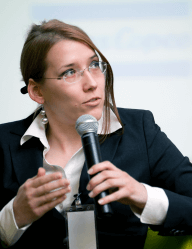 In London ROEC was represented by Eugenia Gusilov while in Bucharest ROEC organized and moderated the energy panel with Radu Dudau as host.